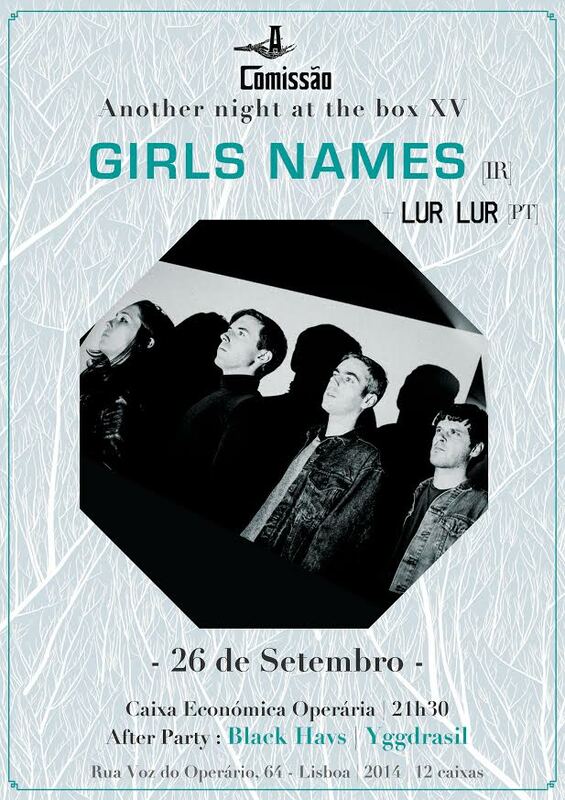 Girls Names played last night in Lisbon at the venue “Caixa Económica Operária” which was the responsible of hosting the four piece band from Belfast / Northern Ireland. Before them, LUR LUR was the portuguese band who had the pretty tought task of opening the event, their concert was enthusiastic, vibranting, passionate as well as exuberant, they were seeking for the audience’s attention during all the gig and they succeeded, everyone was having a good time so they definitely did a good job and an interesting warm up to the following band. 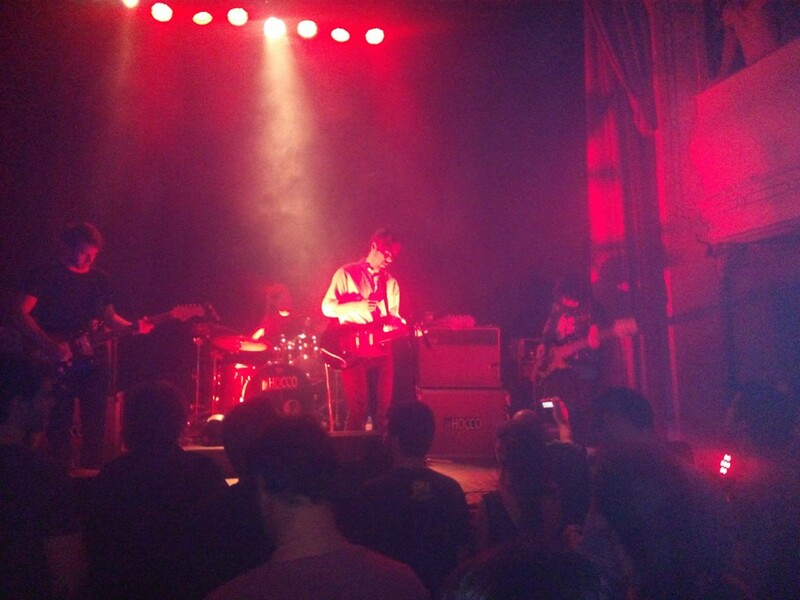 After LUR LUR, Girls Names steped into the stage and as soon as they did it a massive ovation was heard. 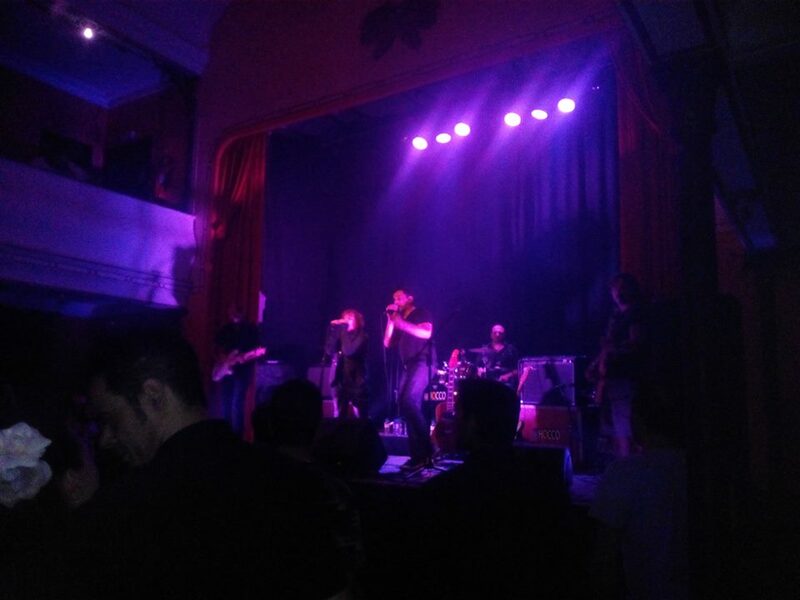 The Irish band didn’t only play songs from the second record “The New Life”, but also new ones not recorded so far, yet the audience loved all of them creating a beautiful environment with the band since the beggining. Girls Names did definitely bring all their romantic post punk into the room with melodic guitar sounds, some juicy as well as catchy bass rythms and a smooth voice. They were pretty efective during all show by kindly giving everything they could. The final result proved that their effort was not in vain and we are just hoping for their new album to be released soon.